An estimated 100 gallons of turbine oil has slowly spilled into the Snake River at Lower Monumental Dam near Kahlotus. The spill, which occurred between Dec. 14 and Jan. 4, was reported to Columbia Riverkeeper under reporting requirements from a 2014 court settlement. The nonprofit environmental protection agency sued the Army Corps of Engineers to stop oil pollution at eight dams on the Snake and Columbia rivers. The most recent spill was discovered while the Corps was recording oil levels. 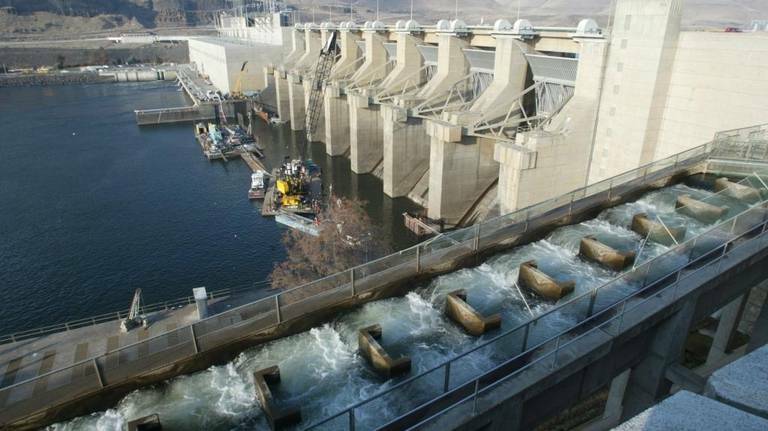 It found an unexplained drop of an inch in the oil sump associated with one of its six turbines used to generate electricity, according to information provided to Columbia Riverkeeper. The oil is presumed to have gradually gone into the river over three weeks. "We seek to prevent spills in the river," the Corps said in a statement. "If a spill occurs, we take steps to manage it and seek to prevent it from happening again." The turbine has been taken out of service for inspection and repair. Columbia Riverkeeper says the Corps agreed when the lawsuit was settled to study the use of non-toxic oils. The Corps has started switching to environmentally acceptable lubricants, but Columbia Riverkeeper says the change over has not been significant. Columbia Riverkeeper also is calling on the Environmental Protection Agency and the Washington and Oregon governors to improve protection of the rivers. The Corps said it complies with environmental laws and policy.